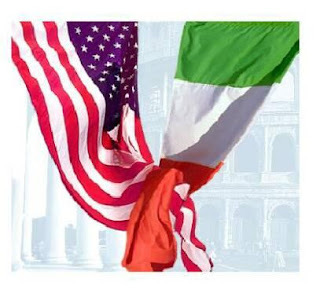 For the past 4 years (2008-2012) a3Genealogy has assisted many clients in meeting the requirements to become Italian Citizens. So, we thought reprinting this useful guide will be helpful for you to obtain your dual citizenship. The process is not for the faint of heart or for the impatient type. We are finding that collating a complete paperwork package takes between 4-6 months. If your ancestor's surname was changed, or there are apparent errors on certified certificates expect a little longer. And remember, full proof of your genealogical lineage must be shown through the various documents. Once the paperwork is submitted and accepted by the consulate, then you wait. your immigrant ancestor did not become an American citizen before his descendent (your direct line) was born. So if the lineage is from you, your father, and grandfather, your father would have been born prior to your grandfather’s USA naturalization date for you to be eligible. Proof of naturalization date or proof that your immigrant ancestor never was naturalized. Meeting the requirements of Items 1-3 (above) normally are the reasons an Italian descendent is determined ineligible. Therefore, the best thing to do is hire a genealogist that specializes in lineage research to verify these basic eligibility requirements prior to translating marriage and death certificates and searching for Italian birth certificates. A professional genealogist will surely ease you through the process. Thanks for the info, great post.